One of the things we did on our Week Away was just drive around and stop anywhere that looked interesting or someone had to pee. 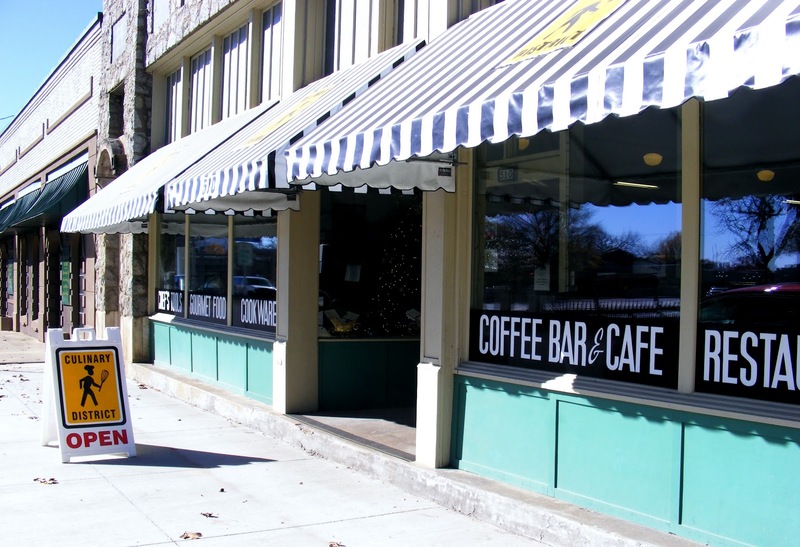 A small scale restaurant supply store, dry goods and cafe called Culinary District. 3 of my favorite things:Sugar, CheeryColors and Things Sold in Bulk. Did you know Cherries were so varied? Have you ever had a Passion Fruit cherry? Can you imagine those flambeed? Again, favorite things come together: Pasta and Stripes. 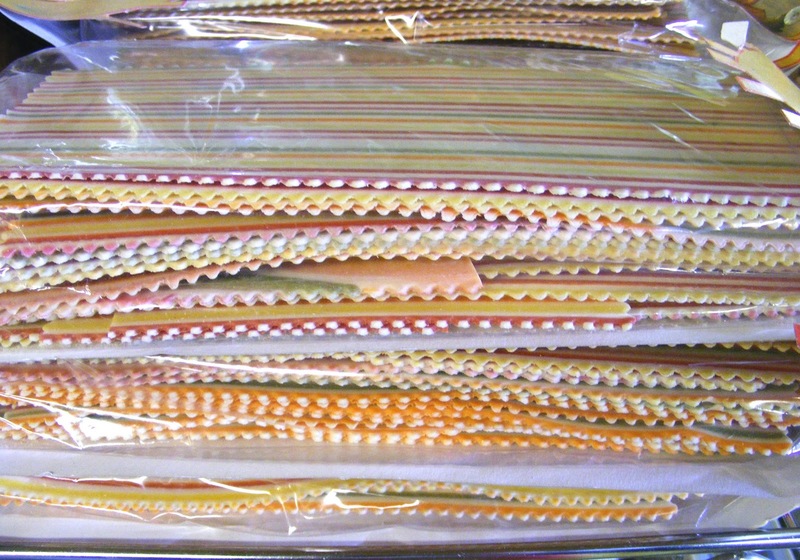 Precious Cupcake Papers. And in bulk. 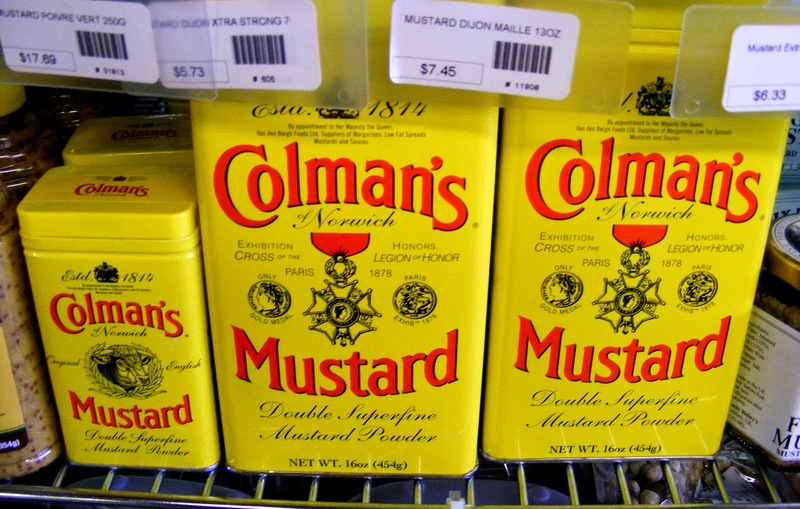 I have a new passion for mustard. I think I must be getting old. I would almost buy these just for the containers. The fact that they contain mustard is just a bonus. 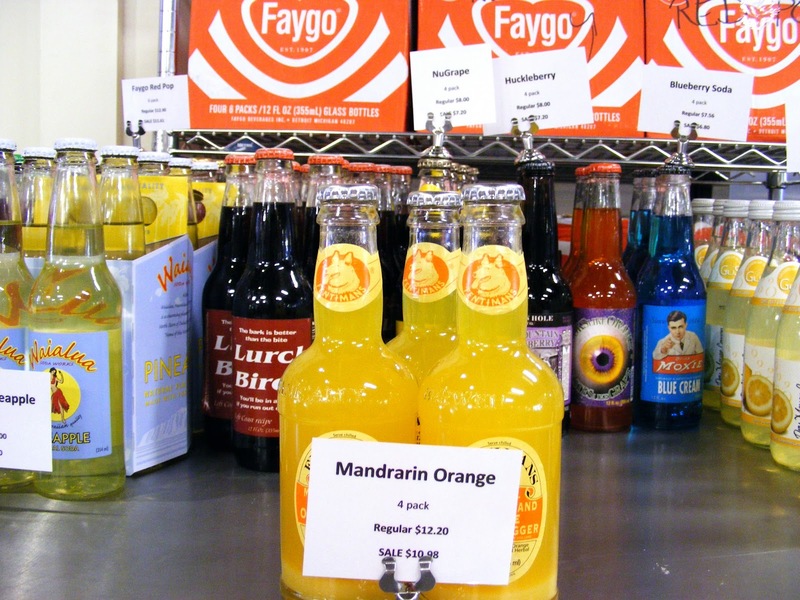 Who doesn’t love a great bottled soda? Jimmies! Wouldn’t jars of these look great in an open kitchen shelf? 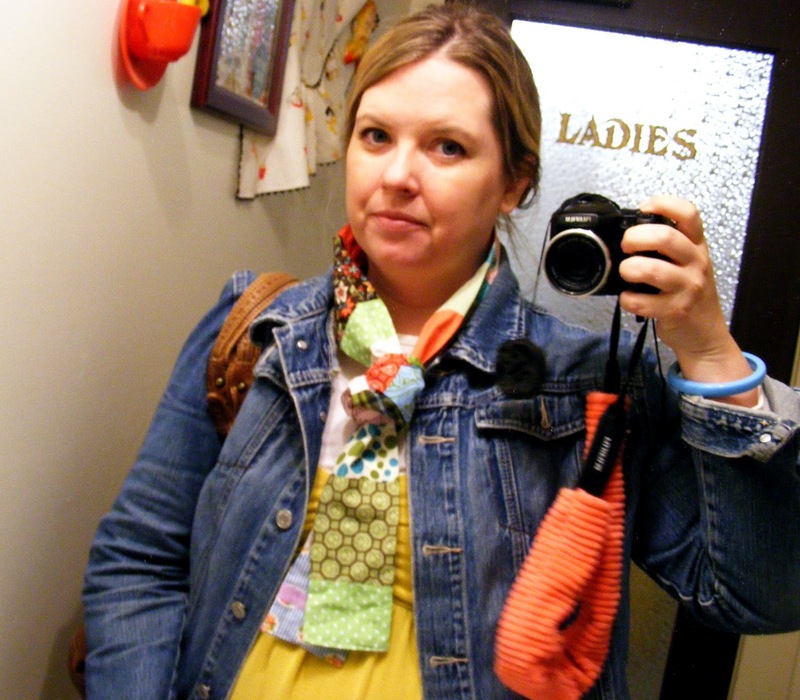 I also found a moment to sneak off and try and take a picture of this great scarf my sister Jemimah made for me. Wbut I was obviously more preoccupied with my reflection and being silly than with my picture taking. I blame this behavior on the power of being in the presence of Jimmies in bulk. Oh my Stars and Garters! 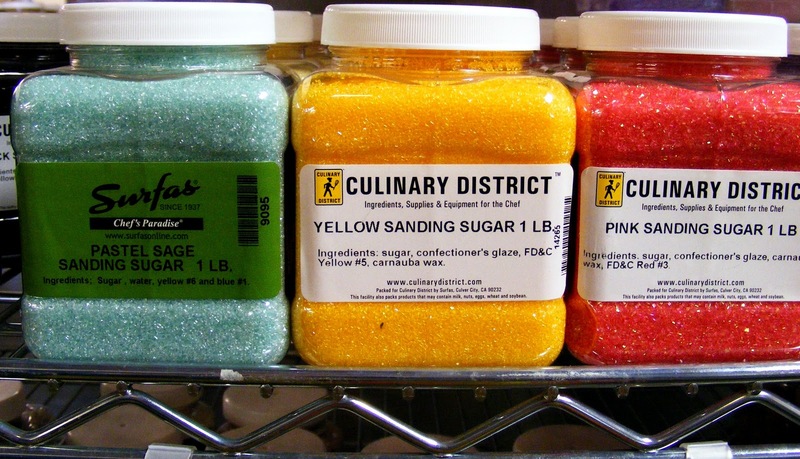 I must know where to find this wonderful store full of bulk Sanding Sugar and Jimmies! It looks like cake decorator heaven! Love the scarf, the fabric is beautiful 🙂 I am a cupcake liner addict. 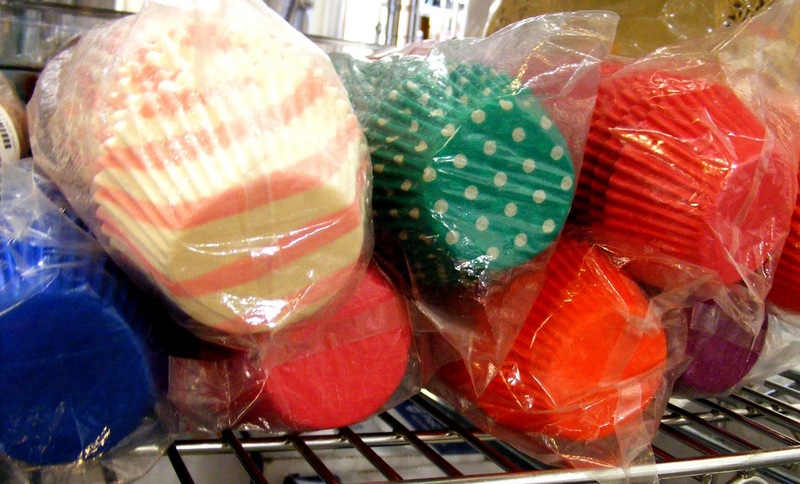 You can never have too many cupcake liners, ever. 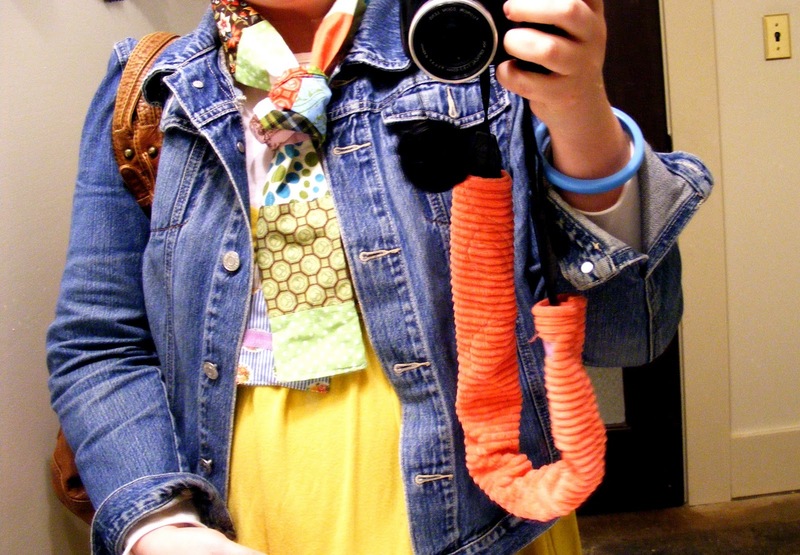 Love the scarf AND the silly pictures. Blame it on the Jimmies, cherries, and Mustard. Oh, my! Sounds like my kind place and vacation style too. This is the coolest place! I am wondering what a “mandrarin” is, though. 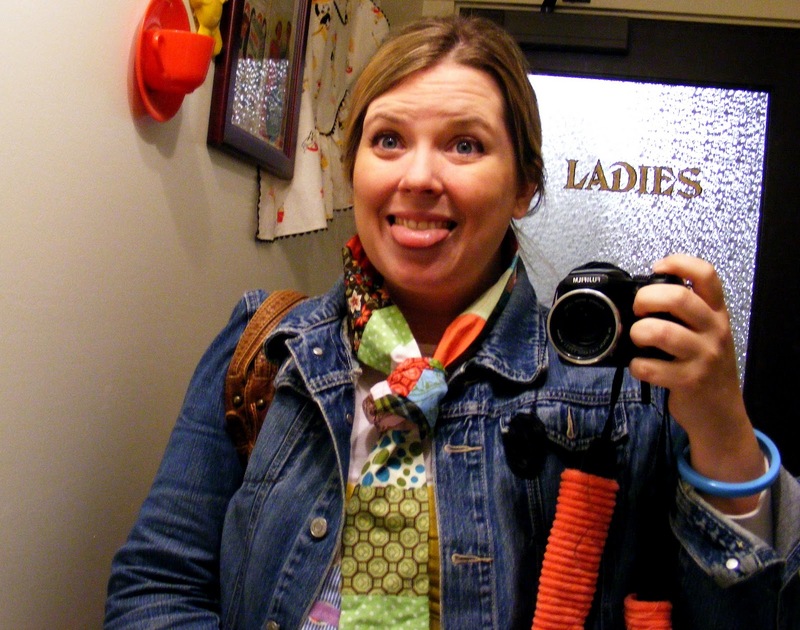 You totally had me laughing by the end….sticking out your tongue in the Ladies room! Ha! Love the colorful supply pictures! Fun! You are so colorful! Love the scarf and the photographer! 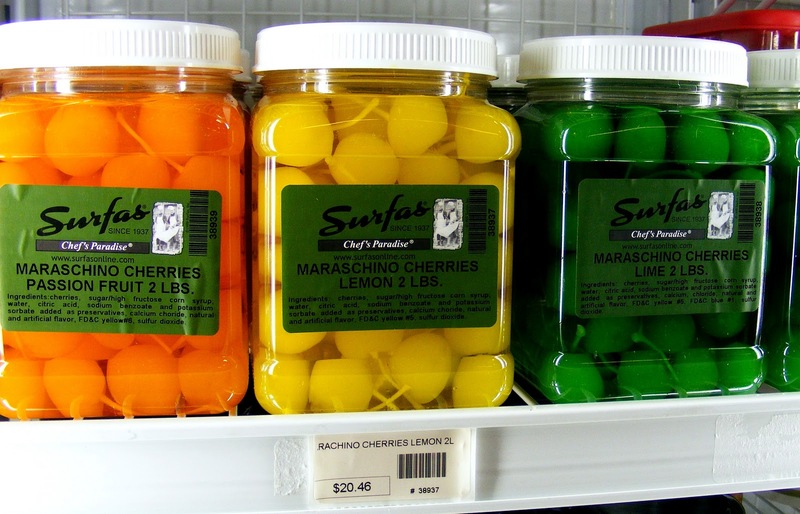 How in the world do they get cherries those colors? I'm so jealous of the scarf!! 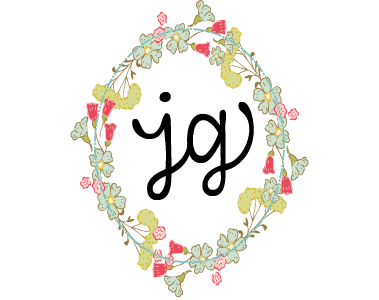 That Jemimah is so creative. Yes, I know, the creativity gene runs in your family!! Looks like you guys had a great trip.